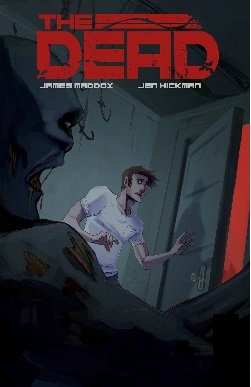 The Dead, an indie horror comic, is definitely a book that can’t be judged by its title. 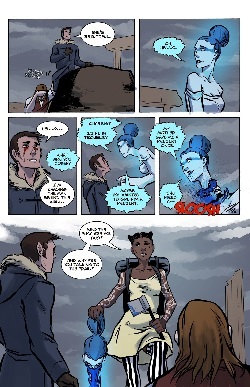 This comic is not about zombies, but what happens in the afterlife. After his death, Sam Coleman enters the house, a mysterious and dangerous entity. The house consists of an endless amount of doors, all leading to rooms filled with bizarre adventures. The rooms are created by its residents, but Sam couldn’t create his room because he was chased away by a wave of wailing souls. 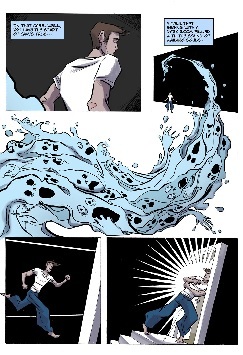 Here’s a look at the first two pages of the The Dead, the beginning of Sam’s never-ending adventures. The rooms can be as frightening as a monster hiding under a bed, or as fun as a child’s birthday party. 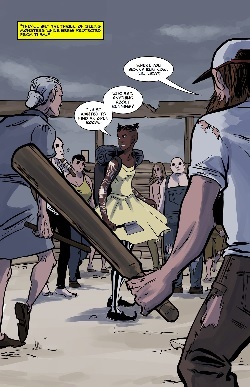 The Dead is a supernatural, horror comic filled with bizarre twists and creepiness. It’s weird, mysterious, frightening, and fun. 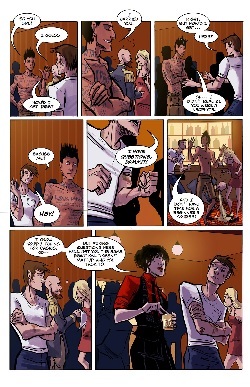 One of my favorite characters is Alex, a good guy that never wears a shirt (and that is perfectly alright with me). There are words displayed all over his body, and it didn’t take long for me to notice that the words on his body constantly change. Another one of my favorite characters is Velouria, a hatchet-carrying house wanderer. And she’s a badass. One of the most dangerous beings to stay away from is the wretched. The wretched looks like a decomposed human, and it nestles inside of a room. The room eventually turns into nasty, rotten who-knows-what, and the wretched will attack you before you realize it. Another danger in the house is the frail. The frail floats around, and looks like an angel. Appearing calm and innocent, the frail turns the complete opposite once you get close enough to it. The house is so mysterious, that no one really knows much about it, except that it holds hidden dangers, secrets, and that there’s no way out. 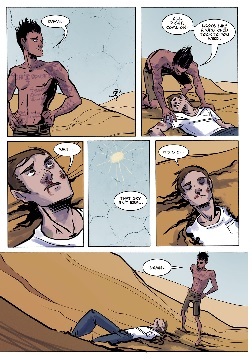 James Maddox is the writer of this adventure-filled, adrenalin rushing, indie comic. Dialogue is intense and complex, and it’s not hard to follow once you get a grasp of what’s going on in the story. Superb character interactions. Original characters are a huge selling point, and Velouria and Alex are two perfect examples of originality. 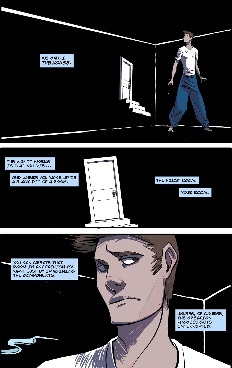 The outstanding visuals are provided by Jen Hickman. I shouldn’t have to type much about her awesome work, because the pages I included above should all speak for themselves. Text is not really needed to know what’s going on in the story. Hickman did a wonderful job on this title. I really enjoyed this comic, and I look forward to reading more from Maddox and Hickman in the future. 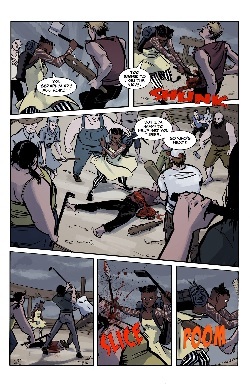 You can purchase the dead on Comixology. 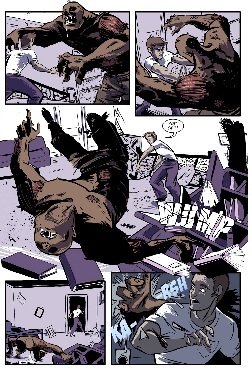 You can also visit the comic’s website at www.thedeadcomic.net. Horror, supernatural, bizarre, twisted, strange, deceit, and magnificent. This title gets 5/5 stars.